France said on Thursday it agreed with Britain that Russia was behind a nerve agent attack on a Russian ex-spy in England, President Emmanuel Macron’s office said in a statement. “Since the beginning of the week, the United Kingdom has kept France closely informed of the evidence gathered by British investigators and evidence of Russia’s responsibility in the attack,” the president’s Elysee office said, following a phone call between Macron and British Prime Minister Theresa May. 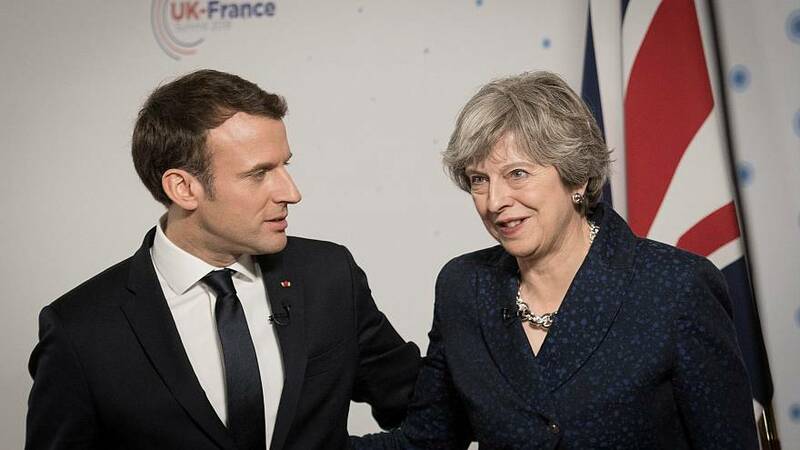 “France agrees with the United Kingdom that there is no other plausible explanation and reiterates its solidarity with its ally,” the statement said. A few hours later on Thursday, France, Germany, the UK and the US released a joint statement blaming Russia for the attack on Sergei Skripal and his daughter in Salisbury, southern England, saying the case "threatens the security of us all". Russia, meanwhile, announced that it would soon expel British diplomats in retaliation for the UK's announcement on Wednesday. Moscow also denied that Russia or the Soviet Union had run a programme to develop the Novichok nerve gas which Britain says was used on its soil. France's alignment with Britain over the case came after it had been accused by some sections of the British press of undermining the UK’s attempts to build a consensus over retaliation against Russia. While earlier condemning the nerve agent attack and expressing solidarity with Britain, Paris had avoided blaming Russia directly. Several British newspapers attacked comments on Wednesday by President Macron’s spokesman who referred to “fantasy politics”, when asked whether France would act against Russia in solidarity with Britain. It followed Theresa May’s statement announcing the expulsion of 23 Russian diplomats and other punitive measures against Moscow. The British prime minister accused the Russian state of being guilty of the attempted murder of former spy Sergei Skripal and his daughter Yulia, and of threatening the lives of UK citizens. French presidential spokesman Benjamin Griveaux told a news briefing in Paris that it came too late to be discussed at Wednesday’s French cabinet meeting. He condemned “a very serious act against a British citizen on British soil”, describing Britain as “a strategic and historical ally of France”. However, he repeatedly refrained from accusing Russia of responsibility, saying France would “await the definitive conclusions” of the UK investigation and for facts to be “absolutely proven”. The French Embassy in the UK later tweeted that “France’s solidarity with the UK is unquestionable”. The French Foreign Ministry published an excerpt from its news conference on Wednesday, saying Paris concurred fully with the terms of the North Atlantic Council’s declaration on the spy poison attack. The statement by NATO’s main decision-making body on Wednesday called on Russia “to address the UK’s questions including providing full and complete disclosure of the Novichock programme to the Organisation for the Prohibition of Chemical Weapons”, noting that allies agreed “the attack was a clear breach of international norms and agreements”. French Foreign Minister Jean-Yves Le Drian described the situation on Wednesday as of “extreme gravity”, noting that the attack was carried out on British soil “with a military neurotoxic agent developed in secret by the Soviet Union in the 1970s”. “We have full confidence in the investigations that our British partners are carrying out,” he added. President Macron – despite being highly critical of Russia, including in the presence of his counterpart Vladimir Putin – has emphasised private dialogue, while pushing for a restoration of business and cultural ties despite existing European Union sanctions on Moscow. The French leader is due to be the guest of honour at an investor forum in Saint Petersburg at the end of May where a large French business delegation will also be present. Angela Merkel said the European Union would present a common stance over the nerve gas attack. “Transparency is important from the Russian side,” the German Chancellor told broadcaster ARD, noting that European leaders are to meet next week. “If NATO has taken a position, then Germany has taken a position. We are a NATO member.” She added, however, that dialogue with Russia had to continue. The European Council President Donald Tusk talked of “full solidarity” with London after a “brutal attack inspired most likely by Moscow”, adding on Wednesday that this was no time for division in the West. "At a time when someone on the outside spreads fake news, meddles in our elections, and attacks people on our soil with the use of a nerve agent, the response must not be transatlantic bickering, but transatlantic unity," he said. At the UN Security Council on Wednesday, the United States joined the UK in accusing Russia of being behind the chemical attack in Salisbury. On Thursday Russia repeated its denial of responsibility. Foreign Ministry spokeswoman Maris Zakharova condemned what she called Theresa May’s “completely insane accusations towards the Russian Federation, our entire country, our entire people”.